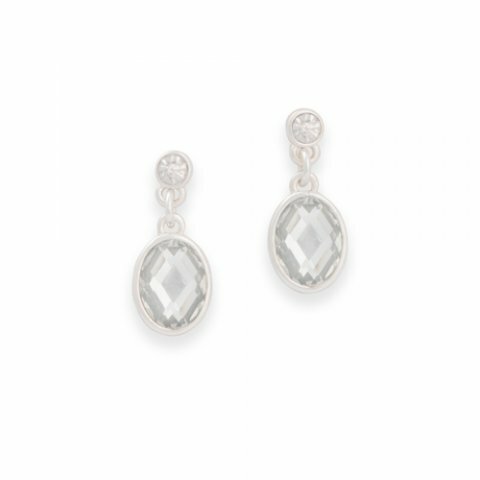 Chic and petite, the Gemma Crystal earrings are modest in size but make a substantial fashion statement. Light reflects off the dangling oval crystals as you move and the resulting shimmers are enchanting! Dainty and feminine, these lightweight Gemma Crystal earrings are versatile with a capital "V!"